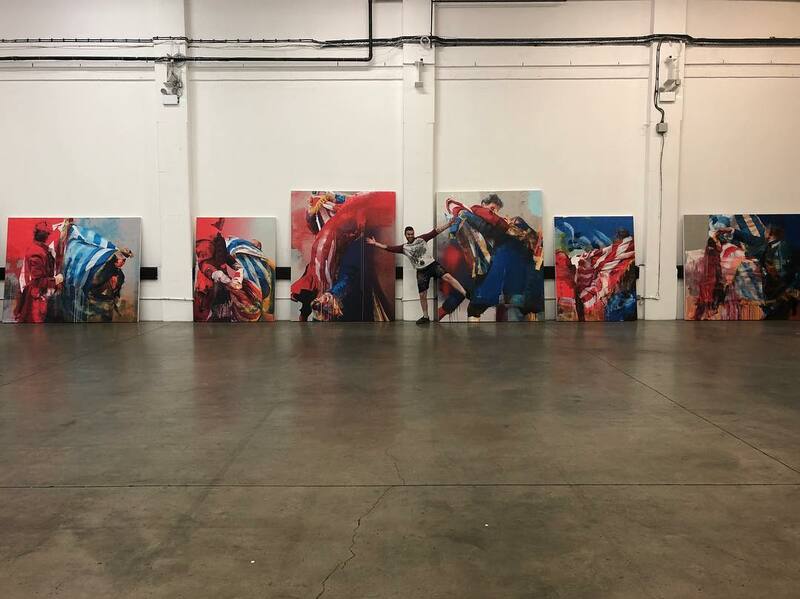 This Thursday (September 13th), Conor Harrington (interviewed) will be opening a solo show in London entitled The Story of Us and Them. 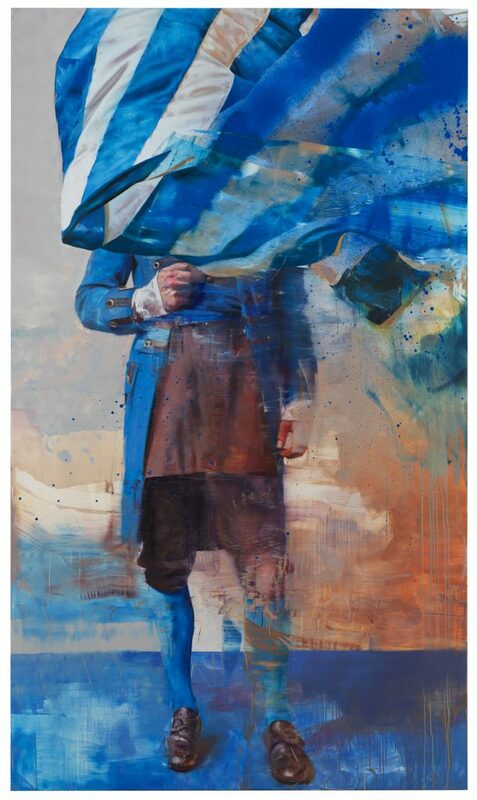 Consisting of 12 new works, the exhibition to be hosted by HENI Gallery sees the Irish artist explore the fine line between tribalism and patriotism. 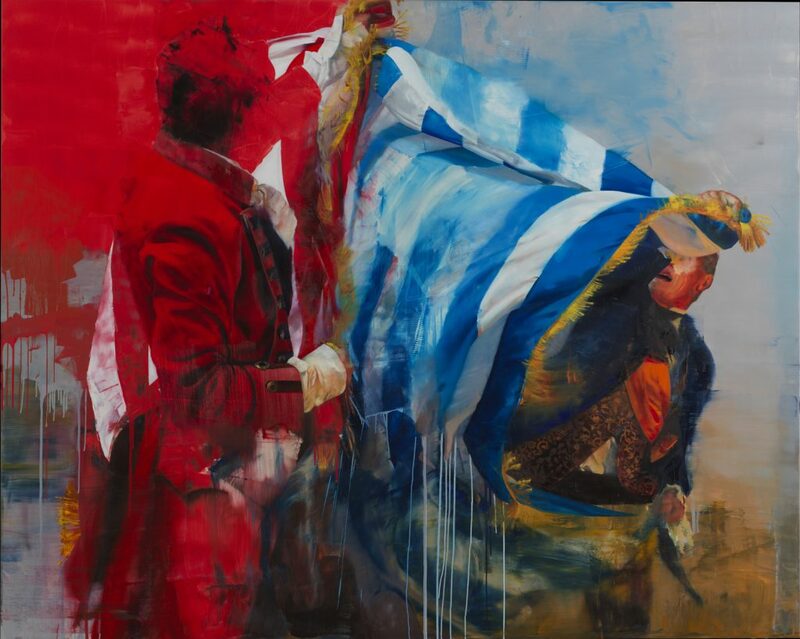 Working with with two combatants wrapped in blue and red flags from a fictional nation state, the UK-based artist uses the pair’s struggles to reference the political climates seen in many parts of the world in these times of strife. 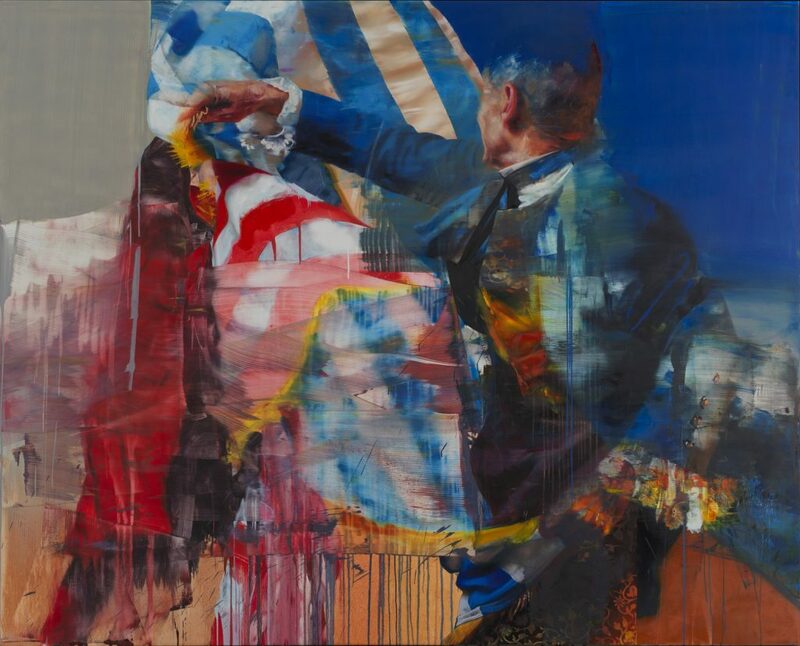 Harrington’s monograph Watch Your Palace Fall, first published in 2016 by HENI Publishing, will be available to buy throughout the duration of the show at the reduced price of £30. 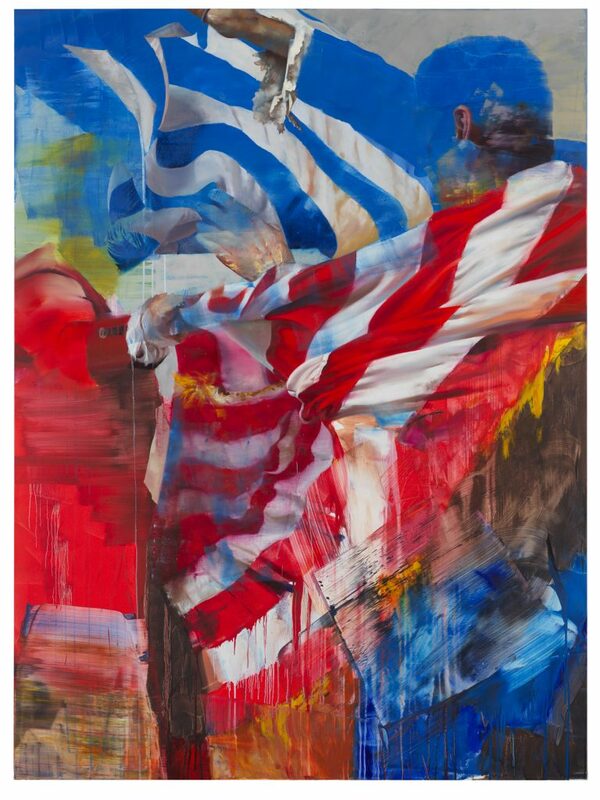 Categories: Contemporary Art, Shows & Events, Street & Urban Art. 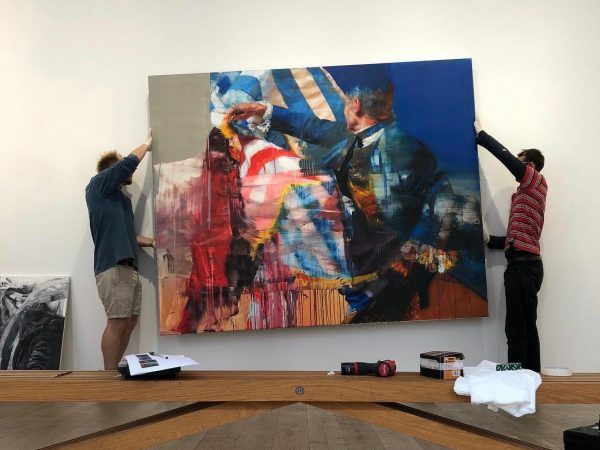 Tags: Conor Harrington, Contemporary Art, London, Shows & Events, slider-featured, Street & Urban Art.